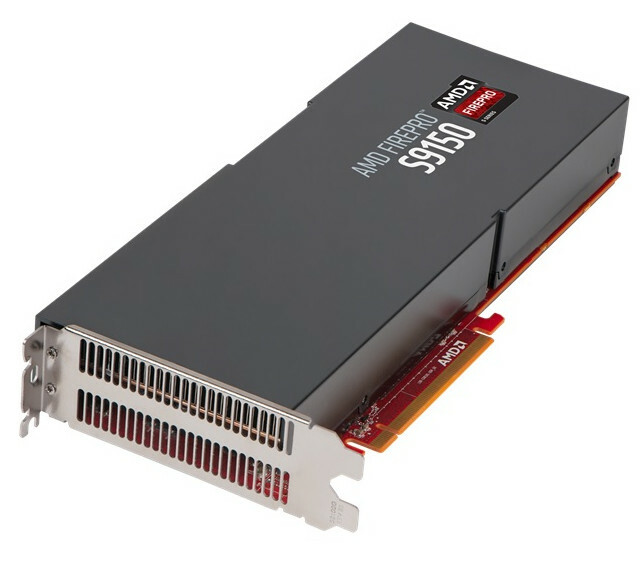 AMD today announced the AMD FirePro S9150 server card — the most powerful server Graphics Processing Unit (GPU) ever built for High Performance Computing. 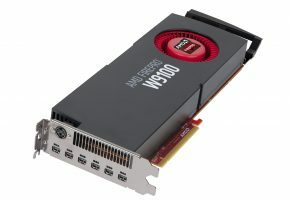 Based on the AMD Graphics Core Next (GCN) architecture, the first AMD architecture designed specifically with compute workloads in mind, the AMD FirePro S9150 server card is the first server card to support enhanced double precision and break the 2.0 TFLOPS double precision barrier. 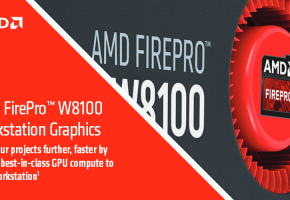 With 16 GB of GDDR5 memory — 33 percent more than the competition — and maximum power consumption of 235 watts, AMD FirePro S9150 server GPUs provide supercomputers with massive compute performance while maximizing available power budgets. 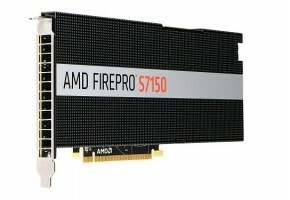 The AMD FirePro S9150 server card is supported by a powerful software ecosystem, enabling developers to better harness its compute performance. 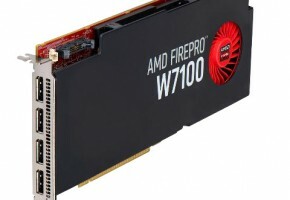 In addition to AMD support for OpenCL, including support for OpenCL 2.0 planned later this year, AMD today announced a collaboration with Pathscale to support OpenMP 4.0 for AMD FirePro S9150 and selected other AMD FirePro graphics cards. Maximum double-precision floating point performance resulting in 2.53 TFLOPS peak double-precision compute performance — half of its peak single precision performance. 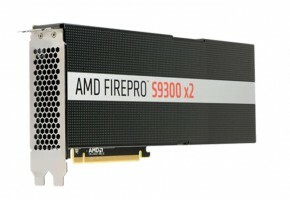 Additionally, AMD introduced the new AMD FirePro S9050 server GPU with 12 GB of ultra-fast GDDR5 memory, ECC Memory support, cutting-edge graphics and compute performance. The new server GPU delivers 3.23 TFLOPS of peak single precision, plus 806 GFLOPS of double precision floating-point performance for effortless processing of challenging compute workloads. 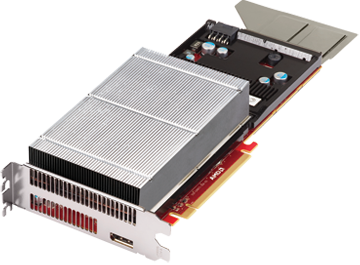 Both of the AMD FirePro S9150 and S9050 server GPUs feature PCIe x16 dual slot form factors and passive thermal solutions more compatible with server environments. 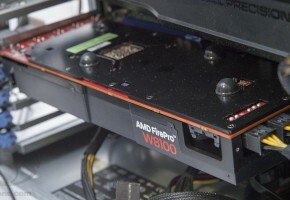 Additionally, both cards support AMD STREAM technology which powers the ecosystem that enables AMD FirePro S-Series server GPUs to be used for compute intensive workflows leveraging the massively parallel processing power of AMD GPUs, and to accelerate many applications beyond just graphics.